May 14, 2014: Upcoming Day of Action to demand $14 Now. May 14th across Ontario. Take a stand for fair & living wages. May 10, 2014: National Day of Action, Toronto: No Tar Sands, No Fracking, No Line 9! while standing in solidarity with Indigenous communities on the front-line of struggles from BC to New Brunswick." "We are excited to announce the launch of our #LS4love (Lake Shore 4 Love) photoshoot campaign! 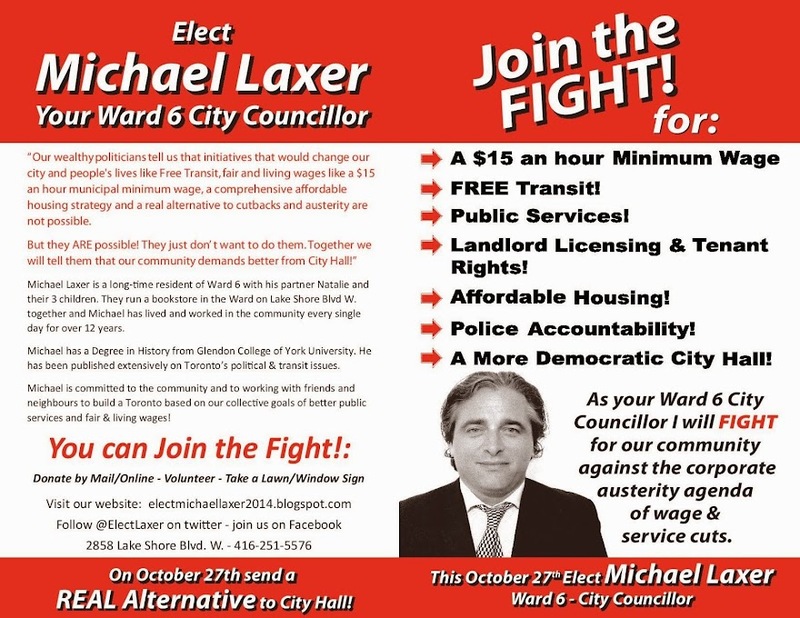 On Wednesday April 30th we will kick off the campaign at Lakeshore Arts from 4PM - 7PM. The mission of the campaign is to come together as a community and take a stand against the homophobia that the LGBTQ community is facin...g in Russia, Uganda and other parts of the world."